Alberta's volatile summer weather causes more damage than all other provinces combined — and it has the Alberta Motor Association (AMA) raising the alarm. Alberta's volatile summer weather causes more damage here than all other provinces combined — and it has the Alberta Motor Association (AMA) raising the alarm. According to AMA's vice president of claims, Ted Koleff, said the province's severe weather has been more destructive and happening more often in the last decade. "Storms, really since 2010, have become more frequent, more severe and more costly," he said. Koleff said wind, hail and rain-related flooding have caused more than $5 billion worth of insured damage in this province over the last eight years. "Sixty one per cent of all of Canada's insured damage has been in Alberta since 2010," he said. On average, Koleff said approximately 44 tornados touch down in the Prairies each summer. "That's almost one a day through July and August. So, the frequency and the severity from an insured damage perspective is going up," he said. And, the things getting damaged are costing more. "Roofs are more expensive and siding that gets damaged is more expensive then it was 10 to 15 years ago, so those are the trends," he said. Koleff advises Albertans to sign up for weather alerts and make sure they are doing small things to prevent damage to their homes, their neighbour's homes, or even people. "If you have lawn furniture, can you weigh it down. You should clean out your gutters so water flows freely, make sure downspouts are pointing away from your home and not toward your foundation. Check your window wells and check your foundation," he said. Environment Canada's senior climatologist, David Phillips, who tracks Canada's big weather events, says he isn't surprised by Alberta's numbers. "It's almost as if you are the hotbed for not only for just summer weather, but even the transition seasons of spring and fall," he said. Phillips said Alberta's violent weather would most certainly keep insurers on their toes. "It is clearly a big cost to insurers," he said. 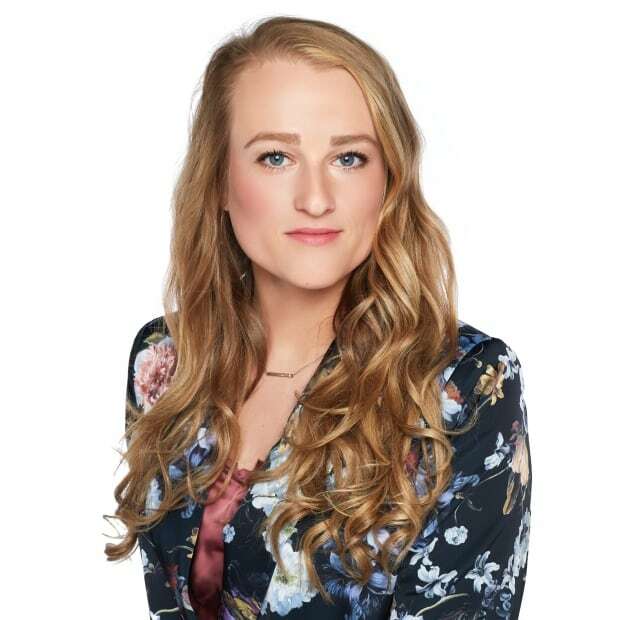 "No wonder they seed clouds in Calgary and are making press statements like this, because in fact their bottom line is being seriously affected by what is going on in the province." 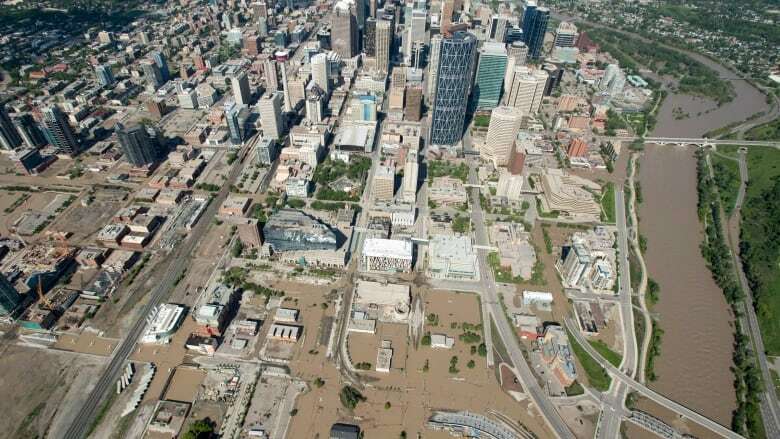 The climatologist said Alberta has been home to some of the most expensive natural disasters in the world, including the 2013 floods and the Fort McMurray wildfires. 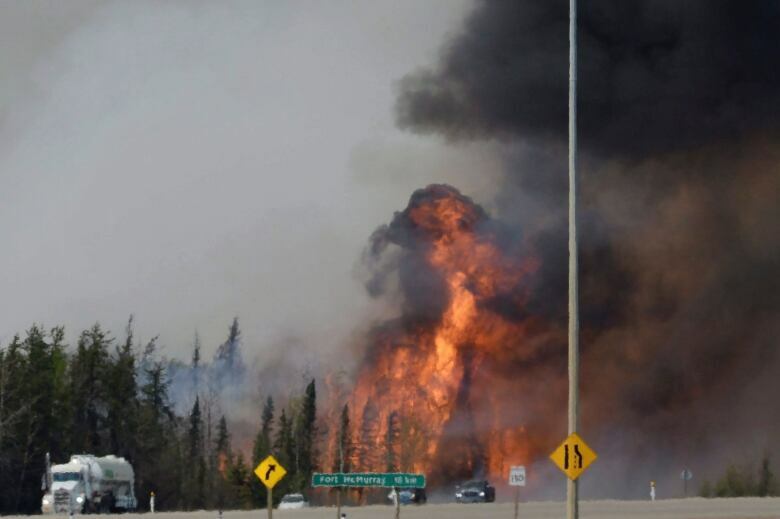 "The fire in Fort McMurray was the grand-daddy fire of them all," he said. "You count it up, we're talking billions of dollars and insurance losses, of course, because property is lost. "We've seen multi-million-dollar hail storms in Calgary. And, in terms of tornado events, they destroy property for sure — and insurers would be out because of that — but it's also killer tornados. If you look at the casualties from tornados in Canada over the last couple of decades, it's clearly been Alberta that has led the way." Phillips said if recent years are any indication of what is to come, there will be more wild Alberta weather this summer.